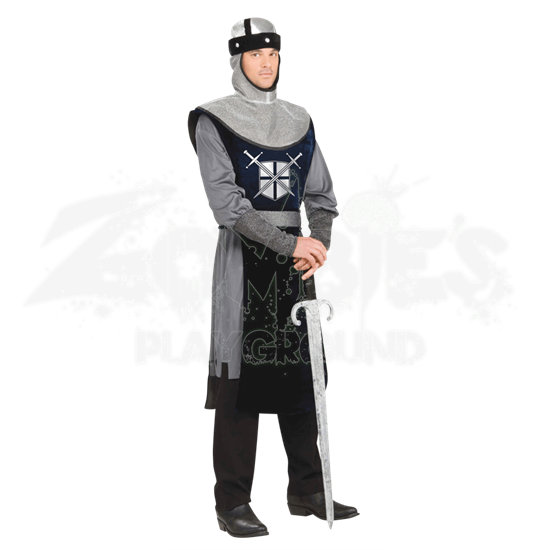 You will look like you have road straight out of Arthurian legend when you don this Knight of the Round Table Mens Costume. In your tabard and armor, you will be ready to meet your fellow knights, slay villains, and ride off in search of ancient relics. This impressive costume consists of three pieces, all of which combine to form a classic and impressive looking costume fit for any one of Arthurs valiant knights. The costume tunic consists of a gray long-sleeved tunic that features an attached blue tabard, which depicts a heraldic symbol of two crossed swords placed over a classic knights shield. Attached to the tunics sleeves is mesh chainmail fabric, which simulates the appearance of armor under the tunic. The costume includes a matching hood of faux chainmail fabric, which acts as a false mail coif adorned with blue decoration. The last piece is the included grey belt, which keeps the tunic securely belted around your waist. Please note that the costume does not include the pictured prop sword, pants, or shoes, although they can be purchased separately on the site. This costume comes in one standard size, which is sized to fit up to a 42 inch chest. 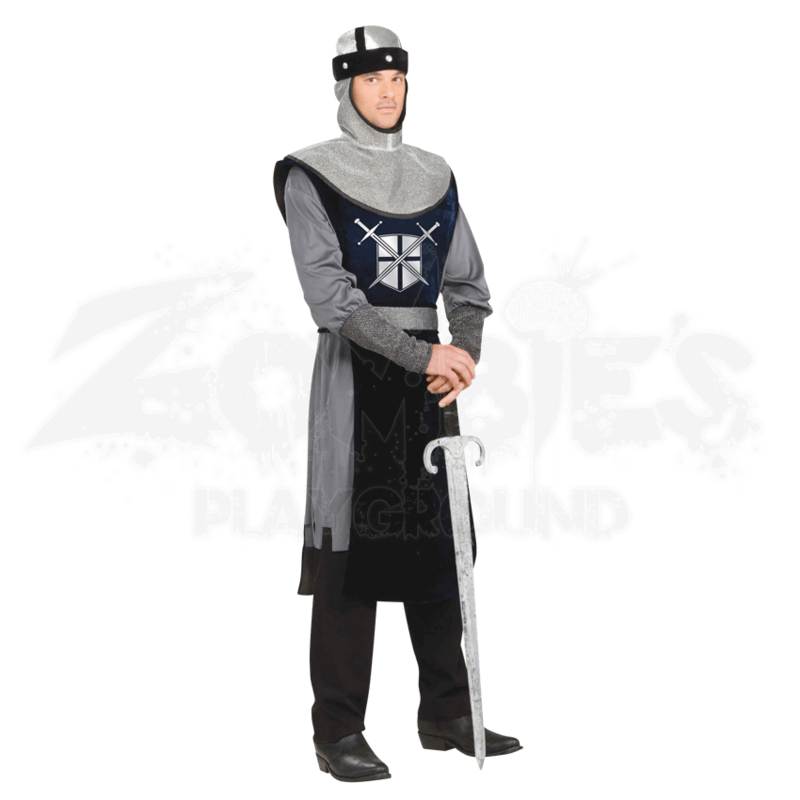 As a knight, you will be dressed for almost any occasion whenever you wear this Knight of the Round Table Mens Costume, although you should not be too surprised if you cause a clamor when you arrive, as all the other knights are likely to be somewhat envious of your appearance.